Tackling Elvis and The Beatles together is a difficult task for any objective writer. 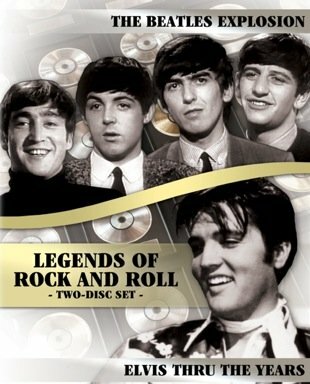 The Fab Four made a number of public statements about Elvis, but he had very little to say about them, at least openly. 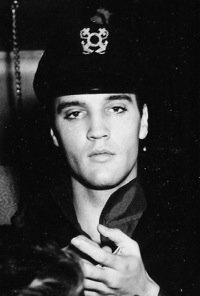 Since his death, however, many who were in his inner circle have revealed what Elvis allegedly said and felt about The Beatles. Unfortunately, the members of the Memphis Mafia often have contradicted each other, and so it is with their revelations about Elvis and The Beatles. Take, for example, the August 1965 evening when The Beatles spent four hours at Elvis’s Bel Air home in California. What really happened there that night? In a 2009 Goldmine magazine article entitled, “Crossing Paths: When Elvis Met The Beatles,” author Gillian Gaar reported that both Colonel Parker and Brian Epstein nixed any recordings, either visual or audio at the meeting. So, for the details of that encounter, we’re forced to depend solely on the remembrances of those who were there. Unfortunately, the accounts of Elvis’s good ol’ boys are confusing, as usual. Gaar’s main source of information was Jerry Schilling’s book, “Me and a Guy Named Elvis.” We’ve always been told that Elvis and The Beatles engaged in an unrecorded jam session that night. Not so, says Schilling. “They never jammed together,” he asserts. “That was just wishful thinking.” Both Paul McCartney and George Harrison have also denied there was any jamming that night. According to Gaar, John Lennon supported Lacker and Fortas by saying several times that a jam did indeed occur. So where does that leave us? It would be nice to believe that Elvis and The Beatles played together, but barring any solid evidence, I have to believe that it didn’t happen. Of all the Memphis Mafia crew, Jerry Schilling comes across as the most intelligent and the most honest. Let’s go on to a more interesting topic, that being what Elvis and The Beatles thought of each other. 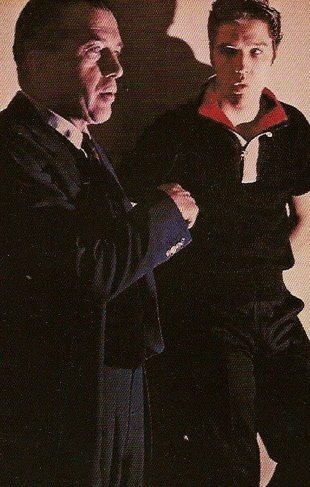 In the beginning, both Lennon and McCartney acknowledged Elvis’s influence on them. “Before Elvis, there was nothing,” Lennon is often quoted. “'Heartbreak Hotel’ seemed a corny title, but then, when I heard it, it was the end for me.” But, after The Beatles exploded on the scene in 1964, Lennon also said, “We wanted to be bigger than Elvis,” and Presley’s fear of that very thing was probably at the root of his personal dislike of The Beatles. 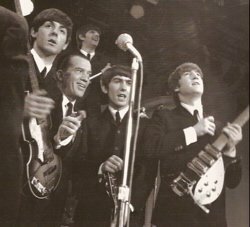 During his 1968 “Comeback” Special, Elvis made a rare public statement about The Beatles. “I really like a lot of the new groups—The Beatles, the Beards, and whatever,” he said. However, it was a statement he made to President Richard Nixon in December 1970 that unfortunately will always be remembered as his ultimate assessment of The Beatles. In an effort to convince the president to issue him a Bureau of Narcotics and Dangerous Drugs badge, Elvis may have been saying what he thought Nixon wanted to hear. In any event, Gaar quotes Nixon aide Bud Krogh as saying he heard Elvis tell Nixon that The Beatles were “kind of anti-American.” Paraphrasing Elvis’s comments, Krogh said Elvis then charged The Beatles with coming to the U.S. to make money and then went home and made “anti-American” remarks. That statement later prompted Ringo Starr to say in The Beatles Anthology documentary that Elvis had tried to get the group “banned” in America. "Lennon said, 'We wanted to be bigger than Elvis,' and Presley’s fear of that very thing was probably at the root of his personal dislike of The Beatles."